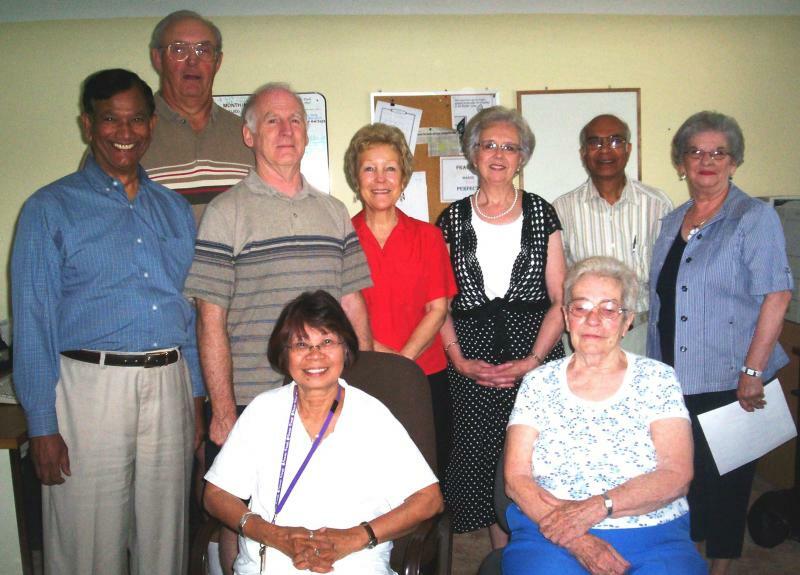 We help newcomers to Canada integrate into their new community. In addition, we provide programmes for seniors to help break the isolation and loneliness so many of them suffer from in today's society. Below are listed some of the programmes we have held over time. A nine week programme consisting of three two hour sessions per week. Funded by the federal government, seniors learn to use e-mail, instant messaging, VOIP, basic word processing, basic photo editting, and use of the internet. To date, the programme has run seven times and served 38 students. Executive director of CCASA with tutor, teacher and students of one of the successful Basic Computer Literacy for Seniors' classes.